Professor Michael Tooby, professor at the Bath School of Art and Design at Bath Spa University and an established independent curator, will explore how testimony has played a key role in his recent curatorial projects. His starting point will be the use of William Blake's Illustrations to Dante in a recent major UK exhibition, 'Journeys with "The Waste Land"', a link to Ursula Hoff's curatorial interests. He will discuss how this exhibition was created by the collective sharing of different life experiences and expertise by over 100 participants in its curating. He will show how this process was informed by his previous interest in testimony when co-curating faith-based and minority cultural projects in Wales, such as 'The Muslim World on Your Doorstep' and 'Hineni: belonging and identity in a Jewish community'. Ursula Hoff's career is a vivid example of dedication to curatorial expertise. At the same time, her extraordinary life story warrants retelling and sharing, not least as a warning from history of the need to challenge racism and prejudice towards migrants. 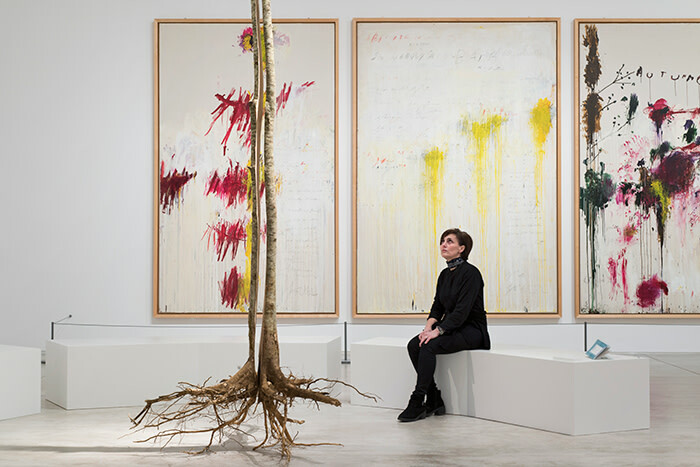 Image: 'Journeys with "The Waste Land"' at Turner Contemporary in Margate with works by Henrik Hakansonn and Cy Twombly. Photo by Thierry Bal.